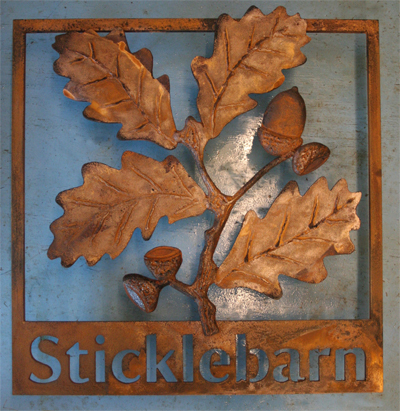 The National Trust commissioned this sign for one of their new pubs, the ‘Sticklebarn’, in Ambleside. Measuring 600 x 600 mm, this bespoke sign was fabricated in house from both laser cut and forged steel elements. Intentionally left to go rusty, the sign perfectly compliments the white washed stone walls of the public house. Contact Stephen if you would like something similar for your business or organisation.